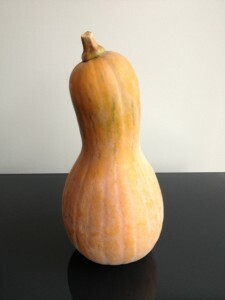 This is an interesting close relation to butternut pumpkin with a good flavour but more texture. It grows very well in an arid environment as long as it gets a well mulched root point. It self heals when you cut a section off so you can slowly slice off a section use as needed. 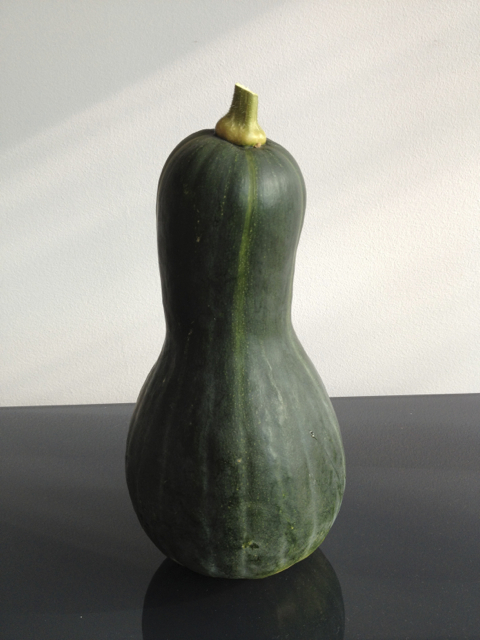 And like many other winter squash they tend to degrade in flavour if refridged. 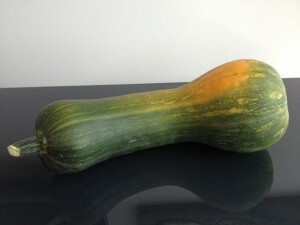 Because it has more texture than a butternut it is better used in dishes where you either blend it or use it to feature it’s texture – such as a roasted dish or for example it also works well thinly sliced and lightly fried or browned and then tossed in a pasta or noodles. It is a large and sprawling prolific vine and will take up a lot of space and produce a lot of fruit for a long period. This image shows the pumpkin aged to the point of use. 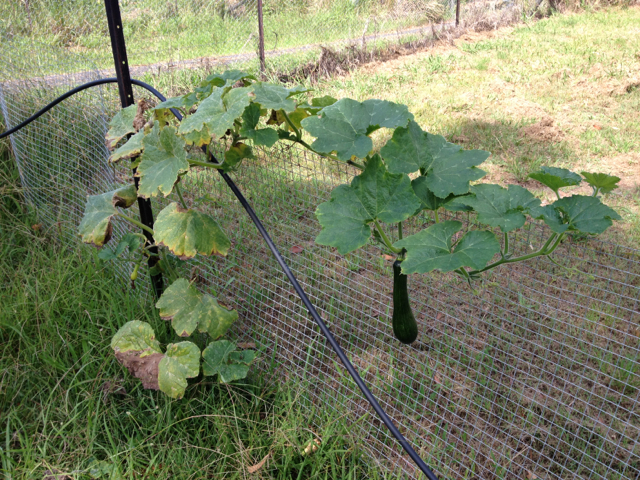 The fruit can get HUGE – up to about a metre long if in ideal conditions. This single vine (shown at end of season) eventually produced about 7 fruit about 60cm long.